norkadorka Sorry. I have no idea what to do next in your case. iam I can see your Office is activated . 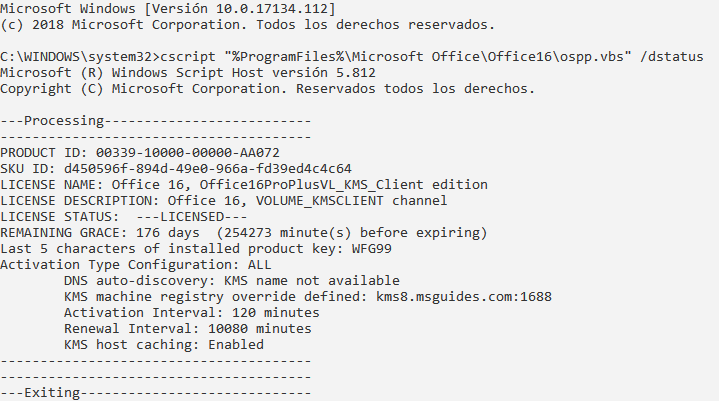 But why do you uninstall the KMS license key (WFG99) when it was activated? Thanks for your reply! Unfortunately it is still not working. Actually I had uninstalled office, rebooted and reinstalled it. After that I did the following based on your earlier reply. However it is still not activating office. I have not had any issues on other laptops. This is on a brand new Samsung Notebook 7 with windows 10. Thanks for your reply. You are right, File-->Account shows product is activated but every time I open Word or Excel I get this screen on startup [Try | Buy | Activate] as seen in the attachment. How to get rid of this? Thanks. To clarify further, I checked and I do NOT have any office program installed. Yet, when I open up Word 2016, it is showing me "Let's Get Started" screen. Thanks. 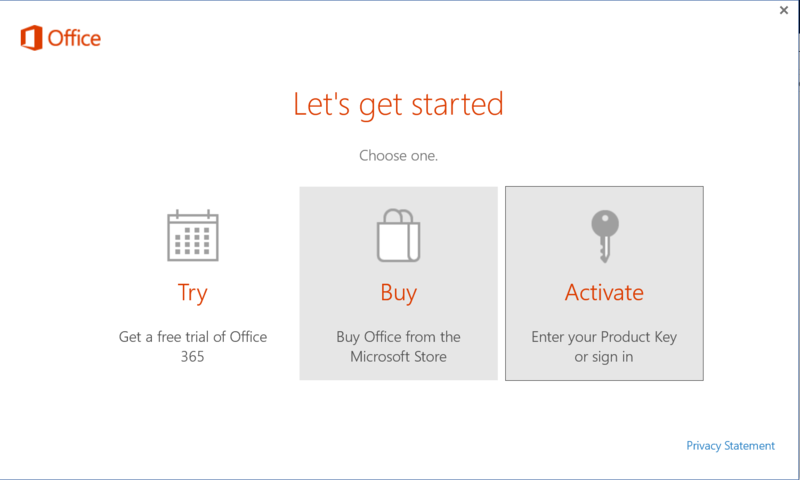 iam The "Let's get started" popup suggests you upgrading to Office 365. Just skip it. I always get, even when I removed the key. I use Office 2016 pro plus. arvintan22 Do you install your Office on the C drive?